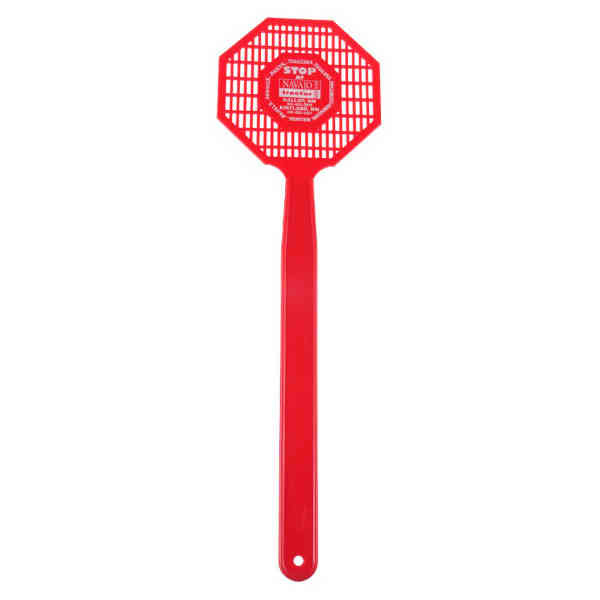 When looking for an unconventional promotional product for your next marketing campaign then choose one of these 16" Stop Sign shaped fly swatters! Molded from flexible polyethylene for increased durability, they are made in the USA and Union printed. Great for coordinating with slogans or in junction with a well-known industry symbol. Imprint Size:5 1/2" x 1/2"
Ship Weight:22 lbs, Please contact us for shipping estimates for orders over 200 pounds. Multi-color imprint must be approved. Design the shape of the flyswatter head. Maximum outer dimension is 5" x 4". Minimum order is 10000 units. Call for pricing.